Pattern mould making can some times require turned wooden or MDF components,from which Aluminum or Bronze components can be made.With the nature of these components there has to be in depth discussion prior to making the components to the customers requirements. The following items were a very challenging for an Architectural Designer mould making project it pushed the boundaries in many aspects.The finshed mould in a grey finish was painted and completed by the customer with the puddle/kidney shape .The project is for Aluminum casting and will be used in house as a walk way and a stairs it will be clamped around a steel tube .Some of the vertebrae will have ribs for the hand rail and the puddle/kidney shape will have the plate glass of the walk way mounted to it. 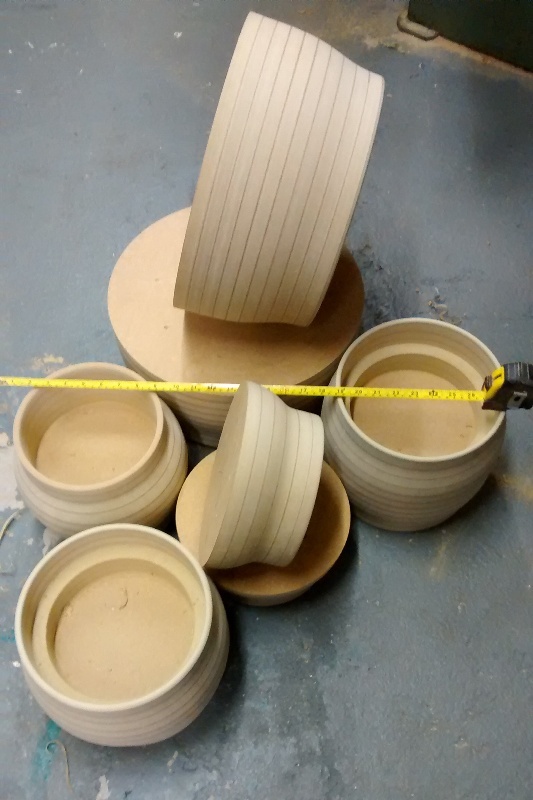 The construction of the mould making blanks has been made with 18mm laminated MDF this was the most suitable material in this instance. This is what the above mold was used to create, the mold above is what the glass walkway sits upon. 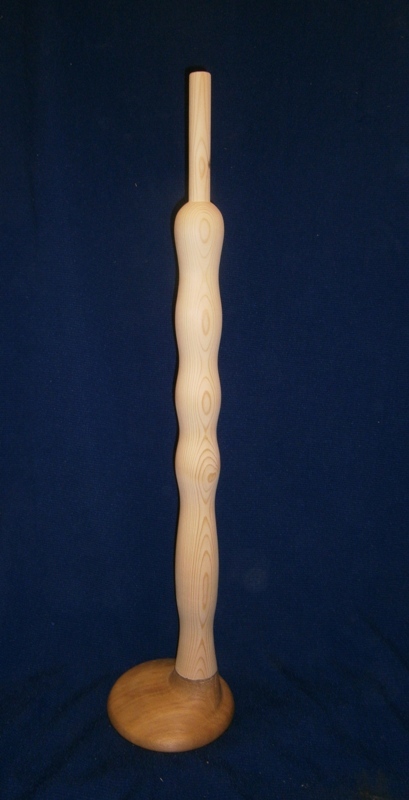 I have made a variety of pattern makers mold incorporating wood turning over the years here are a few more items. Above a newel post with an off set base which was to keep to the specified distances between balusters but provide additional support at the base.Please note the moulds are made from a variety of materials as they are only being used once as moulds to make a casting and strength of the components has not been a consideration. 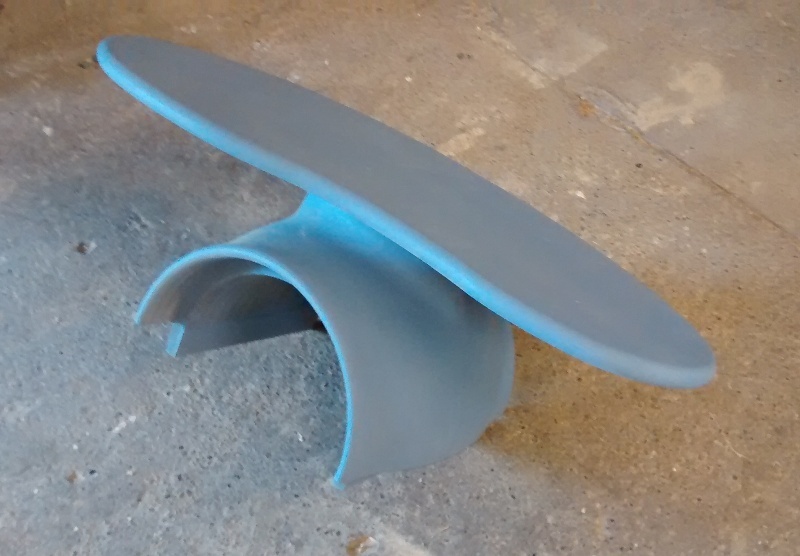 Above a Tulip shaped pattern making mould ,the tulip shape towards the top has been dished under neath to match the outside profile to some degree.The customer will complete the mould by carving petals which will reveal the inner shape.Again this has been made with a combination of materials as matching the grain is irrelevant. 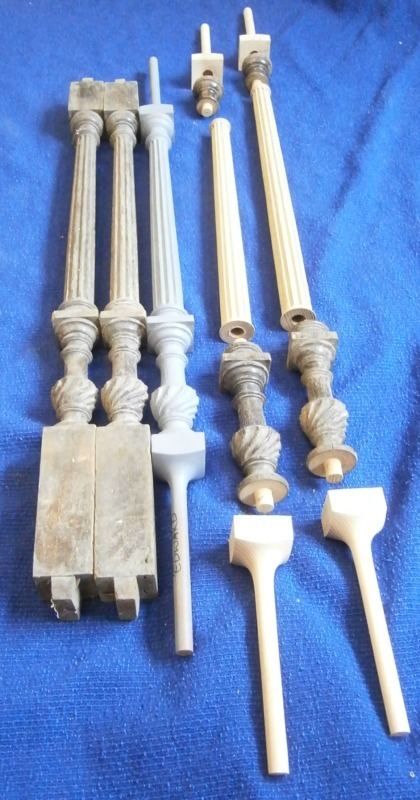 The above balusters were Edwardian balusters which have been extended in various places including the flutted center.Once made into Aluminum or Bronze balusters the long straight portion can be cut down to the length required.